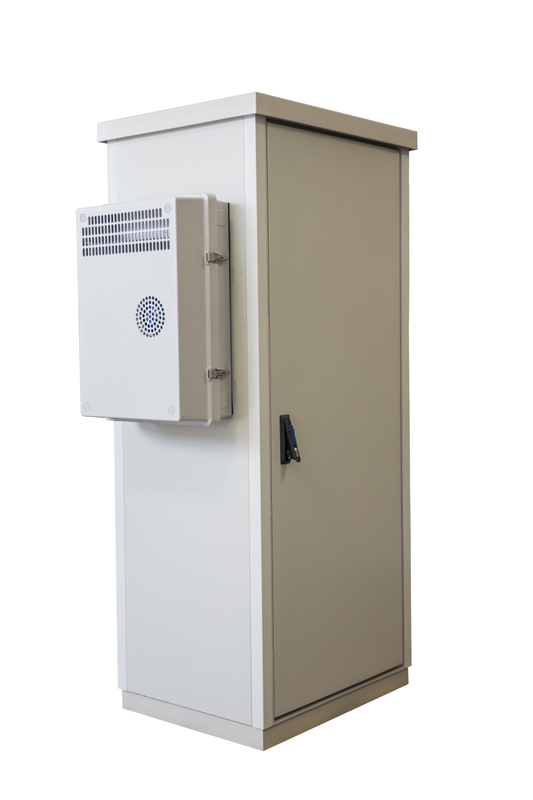 October 19, 2015 — An innovative active cooling solution for small outdoor electronics and instrumentation equipment cabinets sited in hot climates is launched today by Intertec. The company believes that its new MULTICOOL 1100 cooler is the first to feature a GRP (glass reinforced polyester) housing that is inherently resistant to corrosion – most comparable products are contained in metal enclosures that are susceptible to this problem. Offering 1100 watts of cooling power – enough to cool many types of high power field equipment – the MULTICOOL 1100 is a completely self-contained module that mounts directly on the outside wall of the equipment cabinet. 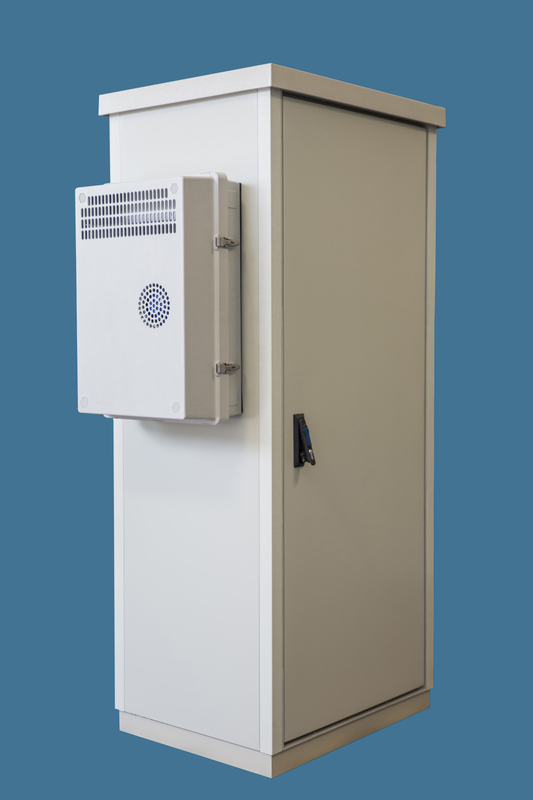 It is especially suitable for cooling outdoor cabinets that are sited in hot and humid environments, and wherever atmospheric contaminants such as salt, sulphur or carbon dioxide exacerbate metal corrosion. Typical applications include temperature regulation of field-based sample conditioning and process analyzer instrumentation, and cooling the type of small distributed electronic control and monitoring systems used in many civil engineering projects. A key feature of the MULTICOOL 1100 cooling unit is that there is no direct air path between the ambient environment and the inside of the equipment cabinet. 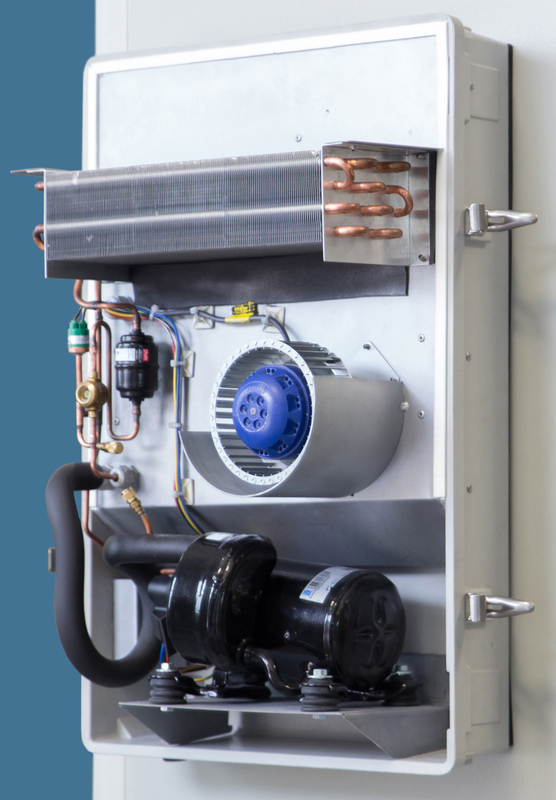 The closed loop refrigeration system has two completely separate and thermally isolated compartments, one for its evaporator, the other for the condenser and compressor stages. The evaporator is the only part of the system that is connected to the inside of the cabinet, via air ducts that are hermetically sealed to the cabinet walls, and employs fan-assisted air recirculation to maximise cooling performance. Heat is extracted from the cabinet by air flow over the evaporator and transported to the condenser via refrigerant gas. The condenser is cooled by its own separate fan, with the hot air and waste heat from the compressor being exhausted direct to atmosphere. MULTICOOL 1100's housing is constructed from the same proprietary grade of GRP that Intertec uses for all its environmental protection cabinets and shelters. This inherently inert material is an excellent thermal insulator and impervious to most commonly-encountered corrosive chemicals. It has a similar strength to stainless steel but is about 75 percent lighter, making transport and installation much easier. The internal chassis and pipework of the cooling unit are made from corrosion-resistant 316 grade stainless steel. Intertec Instrumentation Pvt Ltd, B535 New Friends Colony, New Delhi 110065, India. Intertec South-East Asia, Unit E-8-6, Block E, Megan Avenue 1, 189, Jalan Tun Razak, 50400 Kuala Lumpur, Malaysia. Intertec China, Xi Kang Road 1068, Victoria Plaza Tower B7B, Shanghai, China. INTERTEC-Hess Korea, Donghwa Bld. 10th Floor, 60 Sejong-daero 9 Gil Jung-gu, Seoul, Korea 100-814. Intertec Kazakhstan, 480012 Almaty Avenue st. Seifullina, 563, 5th floor, Republic of Kazakhstan. Intertec Russia, Vitebsky prospect, bld. 11/2, Lit. Ya, St. Petersburg, 196105 Russia.